Sinapse has extensive resources sector and technology systems expertise. 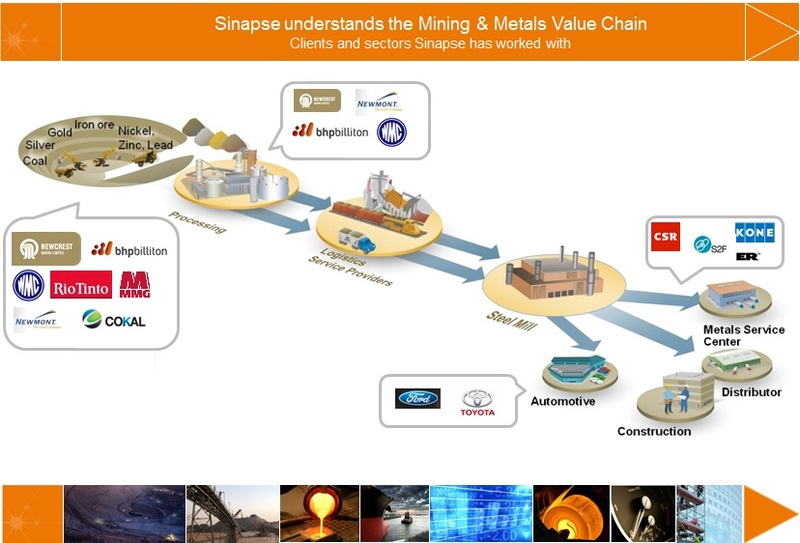 Sinapse has been a partner with a number of major mining companies, and a number of smaller startups, in the review of their IS strategy, ERP approach and implementation of major business transformation programs. Over half of the Sinapse team have mining, oil & gas and large systems (SAP ERP) implementation backgrounds. We can help mining and oil & gas companies in their strategic systems and technology planning, bring best practice business process expertise, deliver large scale business transformation programs and support the organisational impact these programs have on your staff. Sinapse principals and staff have extensive experience in the resource sector having worked on engagements with most major mining and resource companies. We have experience in gold, base metals, coal, iron ore, petroleum & natural gas. We understand the mining value chain and the enabling systems and have project managers and consultants who have worked on some of the most significant ERP programs in the resource sector. Sinapse Partners with RPM (Runge Pincock Minarco) to help our clients with financial modelling, budgeting, planning & forecasting solutions. Sinapse has extensive experience in developing leading planning, budgeting, forecasting and management reporting systems using SAP and Cognos TM1. Sinapse has partnered with RPM to help out clients with financial modelling, strategic planning and budgeting solutions for capital-intensive industries using their world class XERAS product. XERAS, the mining industry’s trusted financial modelling tool for more than twenty years has application across a range of industries that require value driver based planning and modelling. Our Organisational Effectiveness team has managed the change programs on a number of large ERP based business transformation programs. We have a team very experienced in change management, organisational design, communications, training and performance support. Our team has delivered change services to Australian, PNG, Indonesian and SE Asia mine sites. We have trained over 10,000 mining and support staff in SAP. Our Client is a large gold producer with operations in Australia, the Pacific Region, Asia and Africa. It has over 6,000 staff. Sinapse has been a IT & ERP services partner with this client for over 4 years. Our client is a mid-tier global resources company that explores, develops and mines base metal deposits around the world. It has operations in Australia, Asia, Africa and America. Sinapse has undertaken a review of its ERP plans and resourcing and is providing change management resources to the program. Our client is a startup coal venture with exploration prospects in Indonesia, Africa and Australia. It is building a portfolio of assets which will deliver high value access to quality metallurgical coal. It is also looking at various infrastructure projects to support these assets. Its operations are remote and in areas with difficult people and technology access. The company is resource constrained with a small head office and support staff. It currently employs some 50 staff with an equivalent number of contractors. However, it is rapidly growing with potential exponential increase in number of staff as assets move into production stage . Our client was using MYOB for its financial accounting and reporting system. Due to the growing complexity of its business, the regions it operates in and the need to put in place appropriate systems as it ramps up its assets into production was driving its requirement to replace MYOB with a better fit ERP solution. It engaged the services of Sinapse to assist in the ERP evaluation and recommendation. We helped our client by defining its key ERP requirements to support the business as it moves from an Exploration to Production company. Sinapse used its expertise in mining industry ERP systems and best practice to help define the key business and systems requirements using roadmaps it has developed for other mining customers. Sinapse led the evaluation of the most appropriate ERP system to match these requirements. This led to a recommendation, based on best fit and cost, to implement the Microsoft Dynamics AX product. The system was implemented in Australia and Indonesia in 6 months using a very small client team, led by Sinapse. Sinapse provides comprehensive ERP project implementation and applications support services for the Resource sector. Our consulting and implementation expertise is underpinned by our principals and key staff having successfully delivered on major ERP suite implementations across the major resource companies including BHP Billiton, Rio Tinto, Newcrest Mining, Newmont, and Shell. 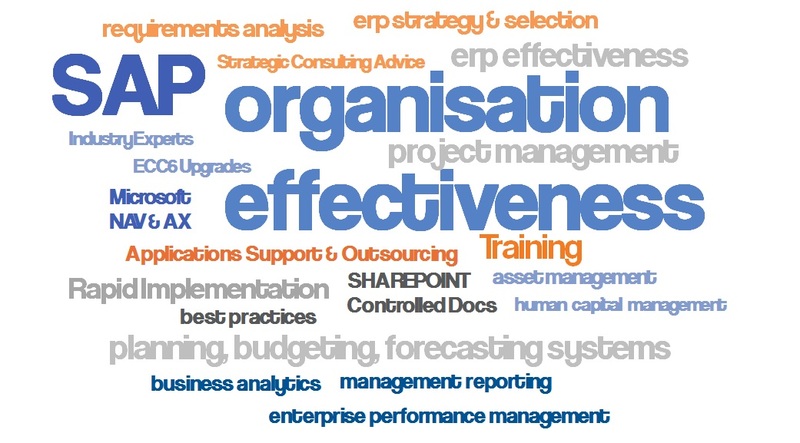 Business consulting & process improvement projects that may be enabled by ERP improvements. Strategic ERP consulting assignments – providing consulting and advisory services, ERP strategy, Architectural Advice, Upgrade and Assurance reviews. Blueprinting and improvement projects including business case development and justification. ERP Effectiveness and improvement projects – reviewing and recommending improvements to existing ERP implementations based on our knowledge capital and reference to best practices. ERP enhancements and development work - from work orders up to $50k to small and medium projects. Major ERP implementations & upgrades – our team has extensive experience on global full suite ERP implementations.These include all major releases of SAP ERP including ECC6 and Microsoft Dynamics. ERP Applications support and maintenance – our team have extensive experience maintaining and supporting clients ERP environments from body hire type arrangements through to full application outsourcing engagements. Organisational Effectiveness – our team has led the change strategy and execution on a number of large mining ERP based transformation projects. We have a team very experienced in change management, organisational design, communications, training and performance support. Our team has delivered change services to Australian, PNG, Indonesian and SE Asia mine sites. We have trained over 10,000 mining and support staff in SAP. The technologies we are skilled in include SAP ERP, Microsoft Dynamics (AX & NAV), IBM Cognos TM1, SAP BPC. 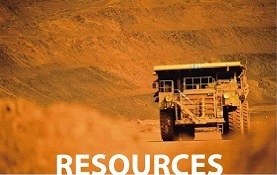 Thought Leadership and relevant links for Resource sector coming soon.